ancestry of Lincoln's mother Nancy Hanks. Update 10/21/2015:The Hanks DNA Project at Family Tree DNA just announced the results of their Nancy (Hanks) Lincoln mtDNA Study. The results appear to be conclusive that Nancy Hanks's mother Lucy was indeed a daughter of Ann "Nancy" (Lee) Hanks, wife of Joseph Hanks. It appears that this issue has finally been put to rest and Abraham Lincoln's ancestry on this site will be changed to reflect this latest news. You can read more about this at Family Tree DNA. The article below will be updated shortly to reflect the results of the mtDNA study. All of these theories regarding Nancy’s ancestry have been “documented” mainly through circumstantial evidence and oral traditions. There are very few primary documents remaining. The one thing that can be proven about Nancy’s origins is that no one can prove the truth, at least not yet. Nancy was probably born in Virginia on February 5, 1784. The reason I say probably is that even the year of her birth, listed as 1784 in Abraham Lincoln's family bible, is considered suspect. She died when Abraham was young and the date of her birth wasn't entered into his family bible until decades later. As many of us have personally found in examining sources for our own ancestors, family members often didn’t know the exact year of birth for other family members. What we do know is that Nancy married Thomas Lincoln on June 12, 1806 in Washington County, Kentucky. Signing the document for this marriage was a Richard Berry, Jr., son of Richard and Sarah (Shipley) Berry. Richard signed the document as Nancy’s “gardin” or guardian. Although Nancy would not have needed a guardian if she was born in 1784, it doesn't change the fact that Richard Berry, Jr. did sign it as such, whether needed or not. Today many historians and genealogists have come to the conclusion that there are only two theories remaining with any likelihood of being true. Probably the only thing that both of these theories can agree upon is that Nancy’s mother was named Lucy, and that Joseph and Ann “Nanny” (Lee) Hanks were her grandparents. One of the remaining theories is that Nancy was the illegitimate child of Lucy Hanks, daughter of Joseph and Ann “Nanny” (Lee) Hanks by an unknown father who Lincoln reportedly described as a “nobleman so called of Virginia.” This would make Joseph Hanks the maternal grandfather of Nancy. An early proponent of this theory was Lincoln scholar Rev. William E. Barton. Independent Lincoln scholar Paul Verduin continued Barton’s research and came to the same conclusion. The second remaining theory is that Nancy was the legitimate daughter of James and Lucy (Shipley) Hanks. James is said to be the son of Joseph and Ann “Nanny” (Lee) Hanks, and Lucy Shipley the daughter of Robert and Sarah Shipley. This would make Joseph Hanks the paternal grandfather of Nancy. Lincoln scholars Louis A. Warren, Ralph E. Pearson, Raymond M. Bell, and Christopher C. Child all support this theory. This is the theory currently presented at FamousKin.com except that we feel that there is no credible evidence that Nancy's father was named James. Therefore we present him as an unknown son of Joseph Hanks. 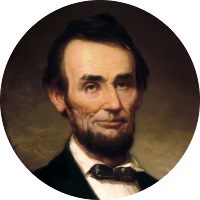 Abraham Lincoln is reported to have said that his mother was born in Virginia and came to Kentucky with relatives and not her parents. It would appear that the family of Richard Berry would be those relatives. Lincoln is also reported to have told a friend that his mother was illegitimate. At first glance, these statements by Lincoln do not seem to be at odds with each other. But in the context of the many theories regarding Nancy’s ancestry that have evolved and been published over the years, they are very much at odds as they tend to support opposing arguments. If Nancy was illegitimate, then why was she with the Berry and Shipley families in Washington County, Kentucky and not the Hanks in Nelson County? She would appear to have had no reason to be with the Berrys. If Nancy was the legitimate daughter of James and Lucy (Shipley) Hanks, why did Lincoln say she was illegitimate? Christopher Challender Child of the New England Historic and Genealogical Society examined much of the research previously done by scholars concerning the ancestry of Nancy Hanks in an article in the 2003 Winter edition of the New England Ancestors magazine (pp. 25-29, 55). In the article, Child delves into the various theories of Nancy’s origins and makes a compelling case supporting the Shipley Theory. He makes equally compelling arguments against the Barton/Verduin Illegitimacy Theory and other theories. Christopher Child also documents the many connections Nancy Hanks and her mother Lucy had to the Shipley family. These connections are not explained by proponents of the Barton/Verduin Illegitimacy Theory, but they fit in nicely in support of the Shipley Theory. Lincoln scholar Louis Warren is said by Child to have examined the “original” marriage record of Lucy Hanks to Henry Sparrow, her reported second husband and step-father of Nancy Hanks. He reportedly saw the word “widoy” written in front of Lucy which he took to mean widow. If true, this would indicate that Lucy was previously married to a Hanks and not necessarily the daughter of one. However, Child does admit the possibility that the illegitimacy theory could be valid which is why we list the Shipley ancestry as only “probable” on the FamousKin.com website. I am open to the possibility of Nancy Hanks being the illegitimate child of Lucy Hanks, but it would take some newly uncovered evidence to convince me. I nor any of my family have any known family relationships to the Lincoln, Hanks, Shipley or Berry families, so I am not biased towards any one theory. When someone tells you that they can “prove” the origins of Lincoln’s mother Nancy, you may find that their objectivity is somewhat biased towards a theory that connects their family lines to those of Lincoln. Remember, the only thing that can be proven about Nancy’s origins is that no one can prove 100% what the truth is . . . at least not yet.